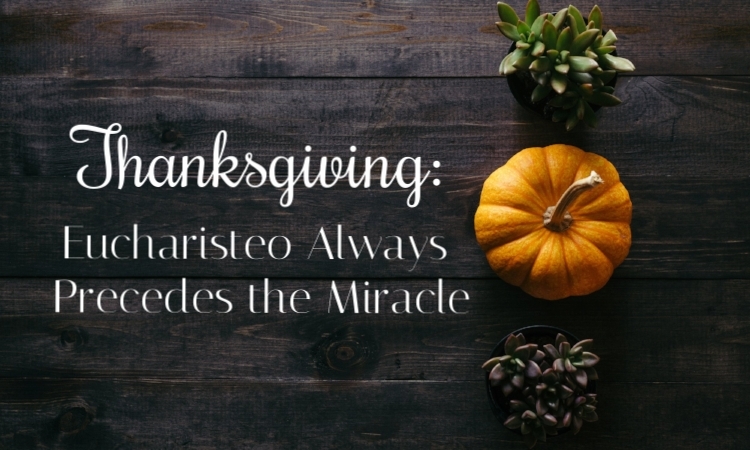 Episode 40: Thanksgiving - "Eucharisteo Always Precedes the Miracle..."
It's Thanksgiving week! Let's give thanks! Giving thanks is an act of gratitude and an act of faith. As we go deeper in our faith, the more we understand how important and how beautiful it is to give thanks for everything, even the hard stuff. What are you thankful for? Can't wait to have this Thanksgiving chat with you as we officially enter into the holidays!! Thank you! I can't wait to go on this adventure with you.